The Administration Building was constructed in the 1960’s and acts as the front door for the campus. 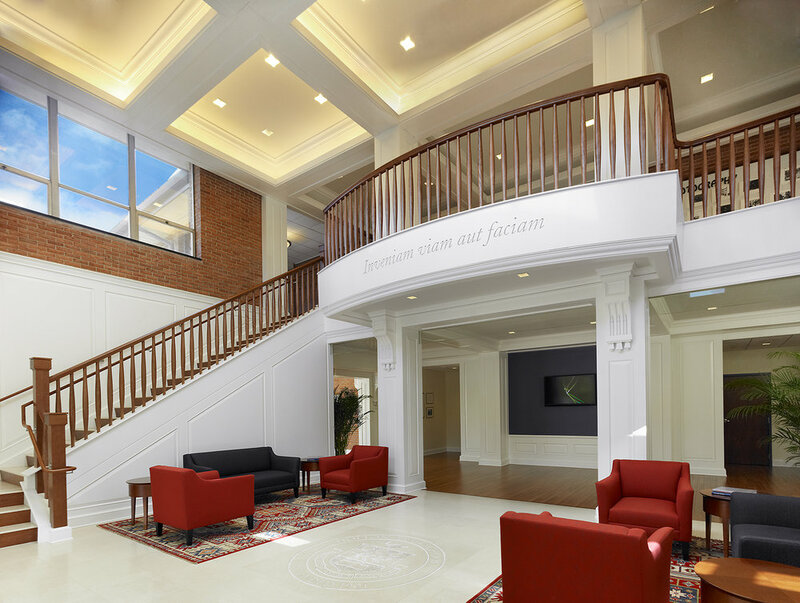 The building houses the offices of the Head of School, administrative offices, bookstore, student lounge, and meeting rooms. SKA provided architectural services for the renovation of the building. The lobby and reception were completely reconstructed, a skylight was added and the existing entrance loggia was enclosed. The entire building received new lighting and finishes. This renovation also include new offices for the administrative staff.